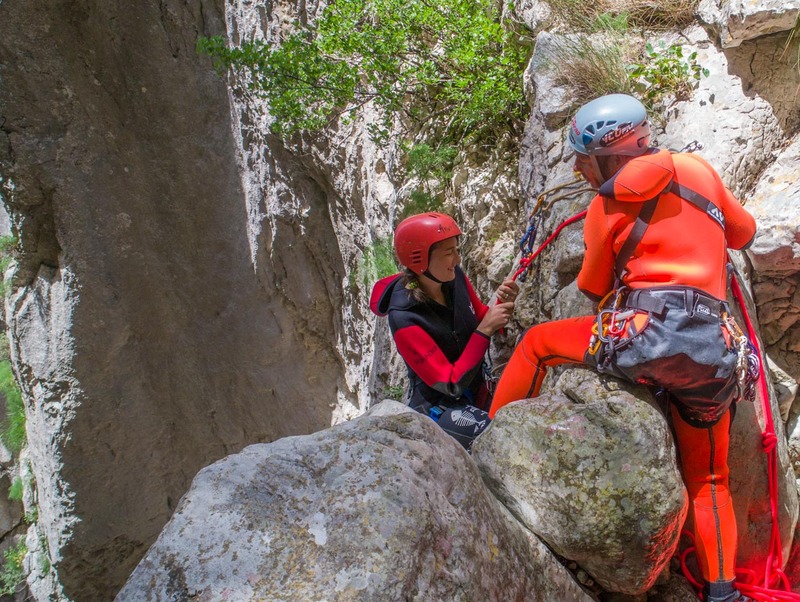 Montenegro offers a number of canyoning options, but one of the best for intermediate and advanced canyoning adventurers is Medjurecki Canyon. 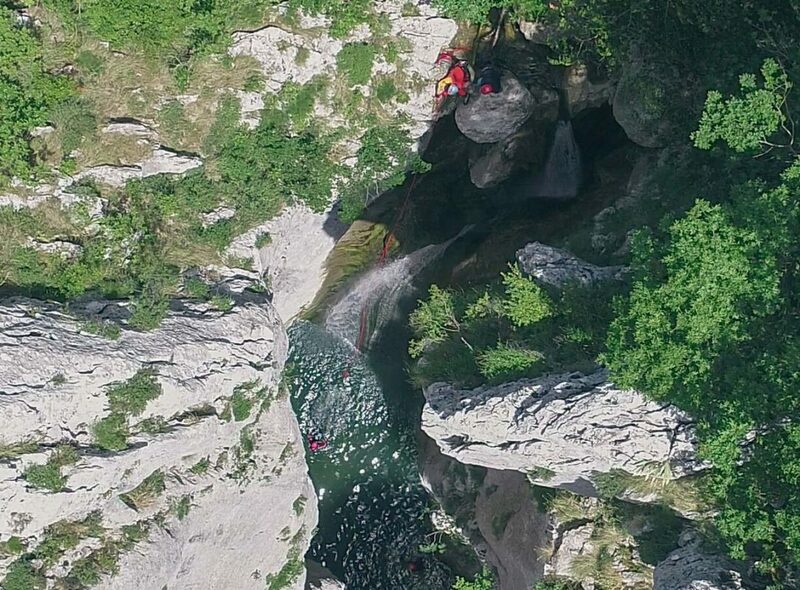 This canyoning near the coast adrenaline excursion launches a bit south of Old Town Bar, Montenegro. 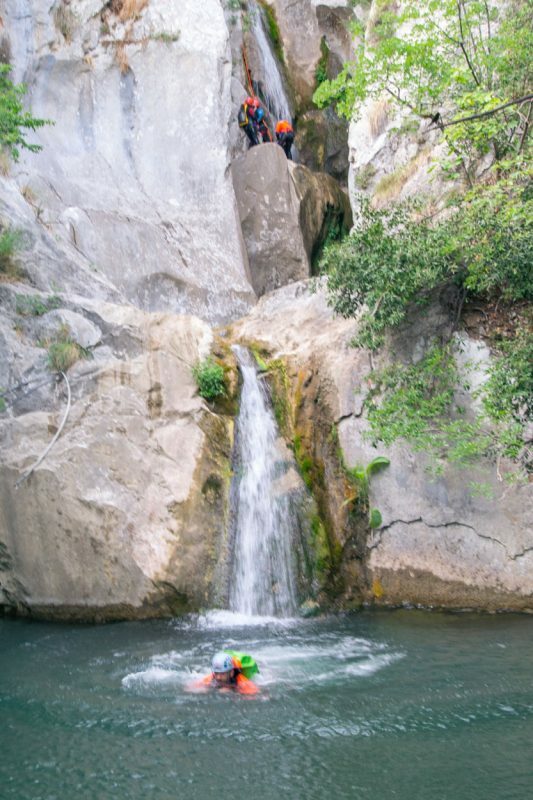 Medjurecki Canyon requires a combination of belay descents, jumps, and toboggan slides to navigate the 10 waterfalls. 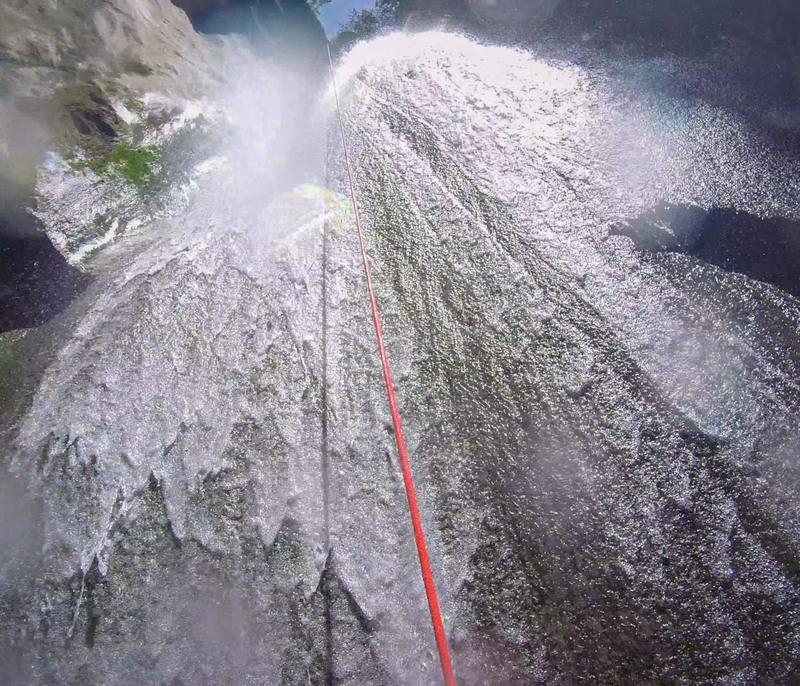 This adventure starts with a 27-meter waterfall that requires a technical rope belay. 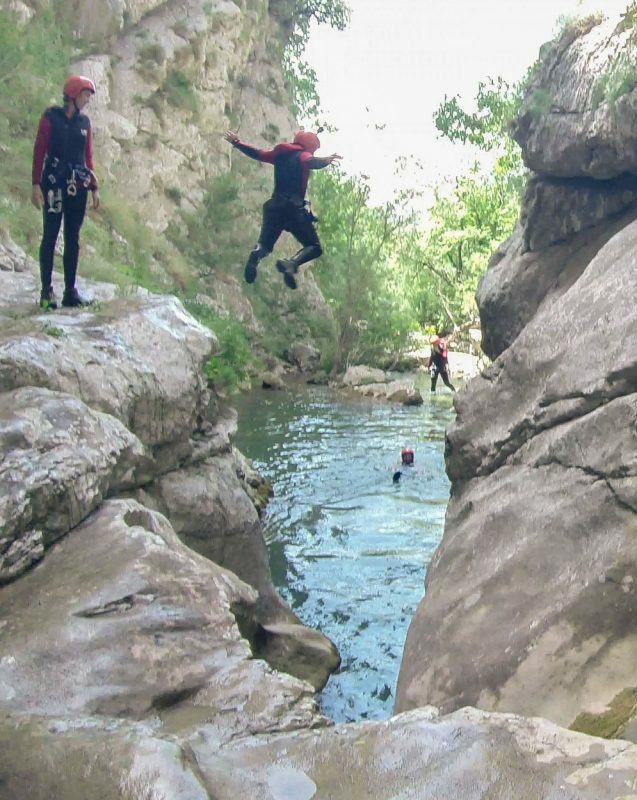 Participants of this canyoning adventure must be fit enough to sustain a good level of energy for 5 to 6 hours. 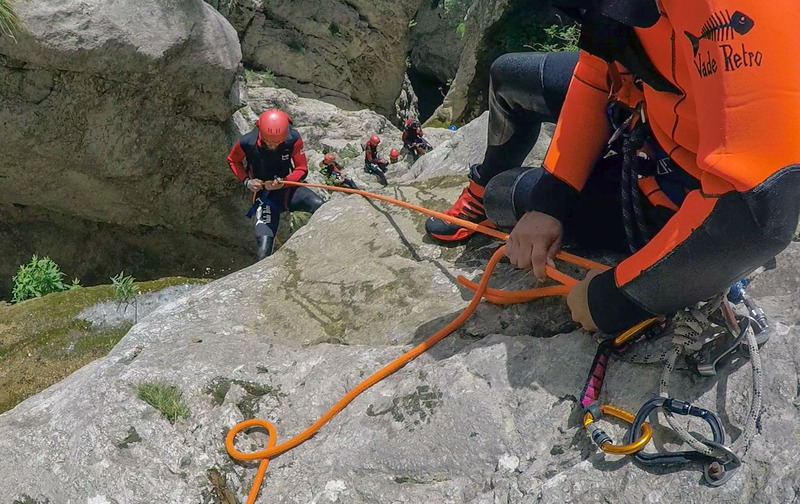 On the technical side, our guides are ICO Pro certified, so they take care of training and assisting canyoners throughout the adventure. 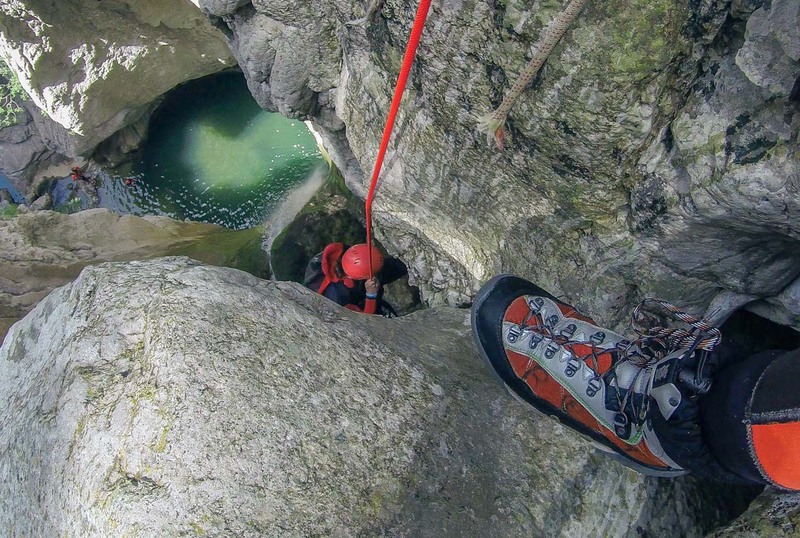 When canyoning Medjurecki, adventurers will grab their gear and hike in 20 minutes. 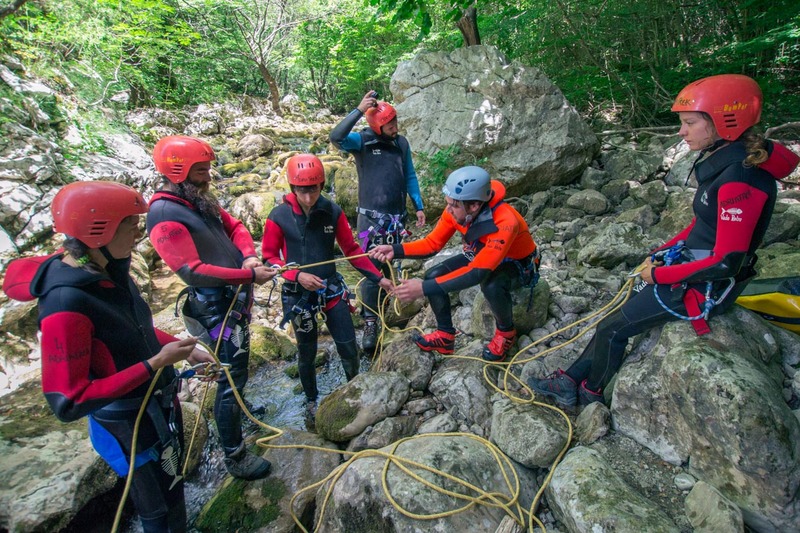 This is the place to suit up and receive belay training before going down the first waterfall. 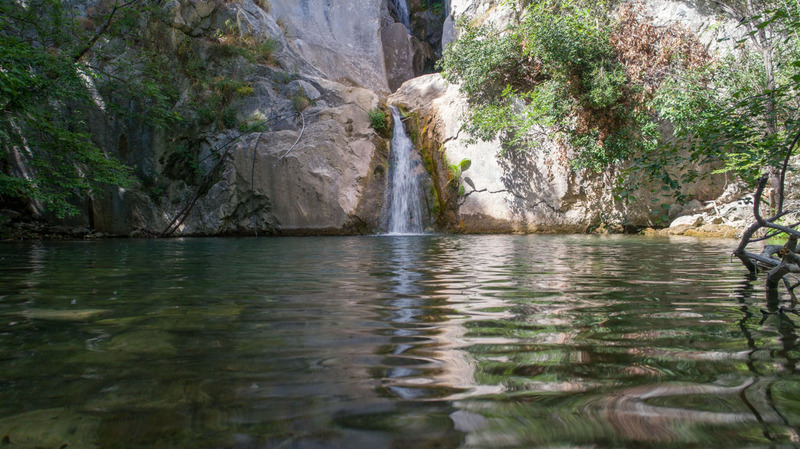 After the last waterfall, adventurers hike out through the rocky riverbed. Super Fun! 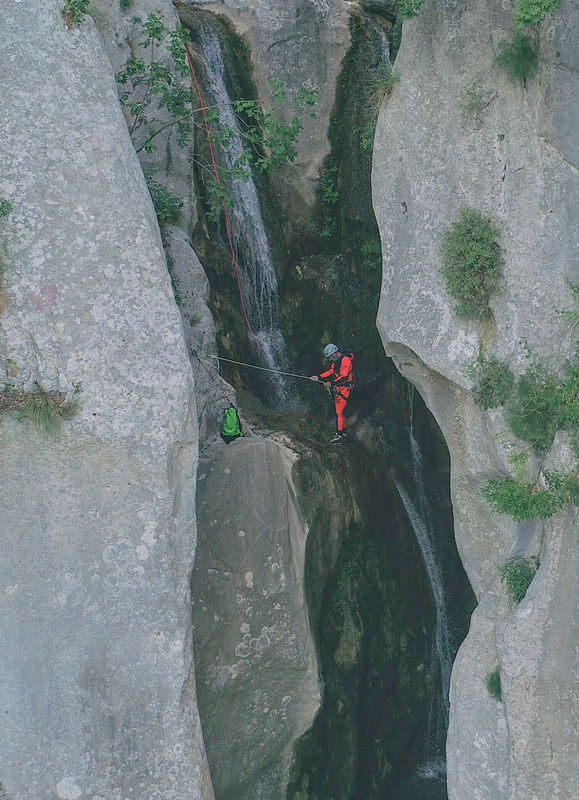 If you’ve never been canyoning, don’t worry because these guys are professionals and know exactly what they are doing. 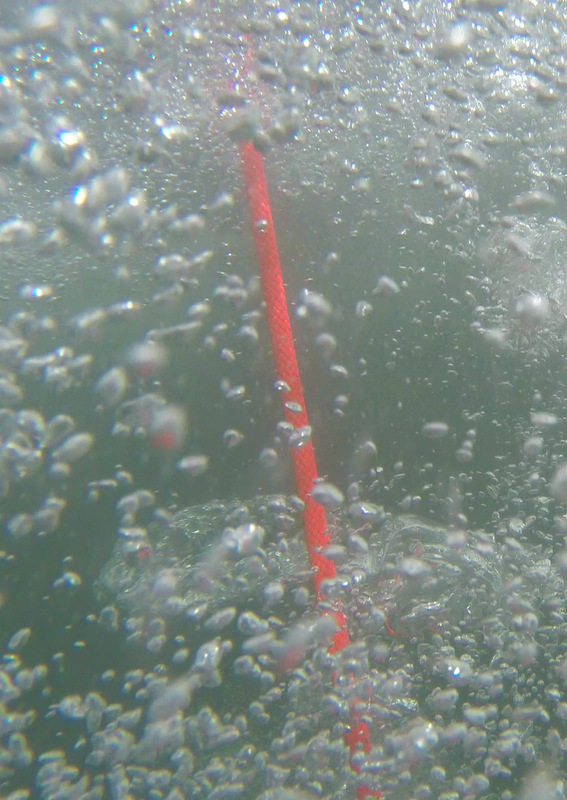 The entire time I felt safe and didn’t worry, instead I just had fun! 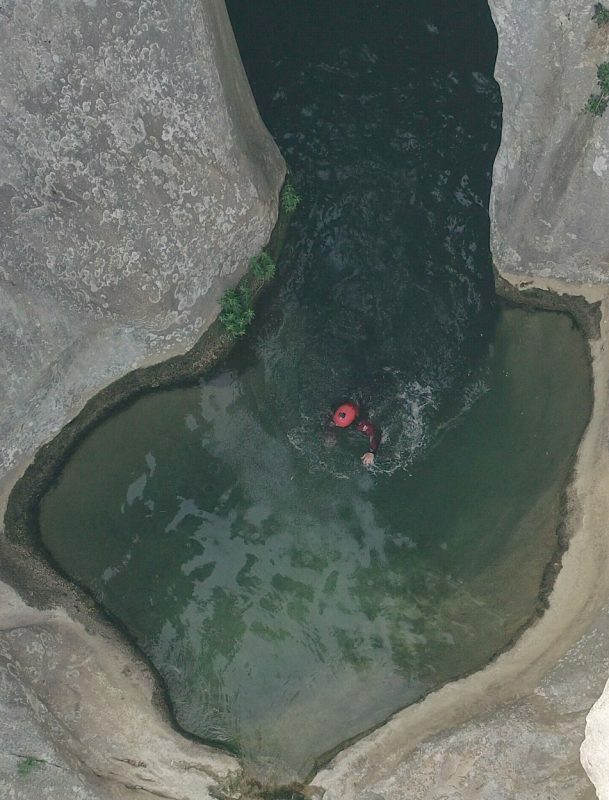 There are plenty of jumps for you to have your fun with as well. 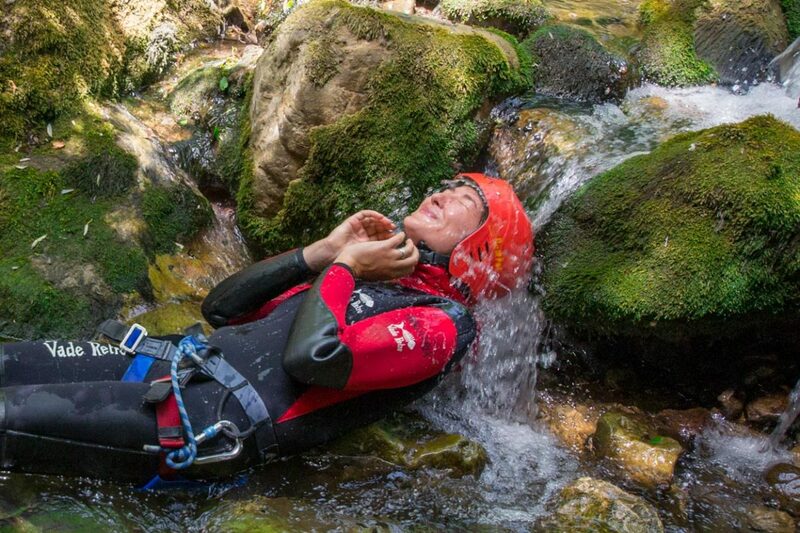 Canyoning Montenegro was the best experience ever! Une expérience géniale à découvrir! C’était génial de faire du canyoning dans le Medjurecki Canyon ! Ça faisait longtemps que je voulais tenter l’expérience et je n’ai pas été du tout déçue. 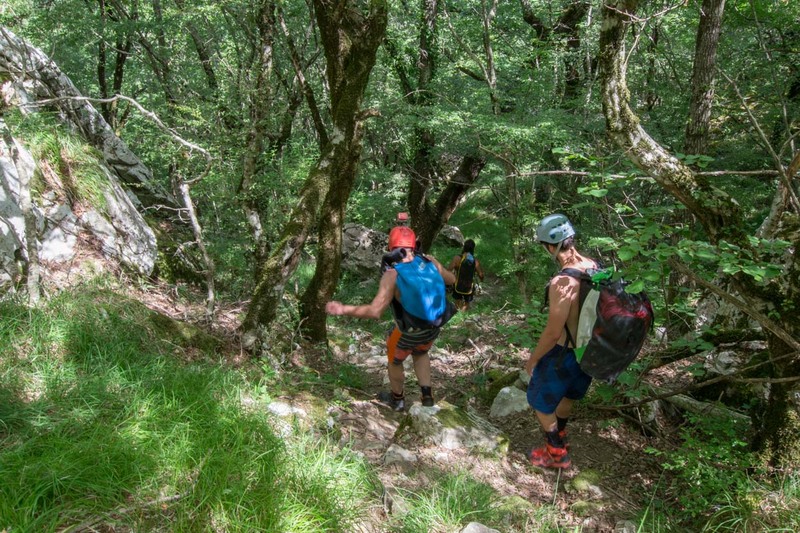 Il y en a pour tous les goûts, entre les descentes en rappel, les sauts, les toboggans, etc. On a été très bien accompagné en toute sécurité, c’était une super ambiance dans un magnifique cadre ! Une expérience géniale à découvrir ! Merci ! 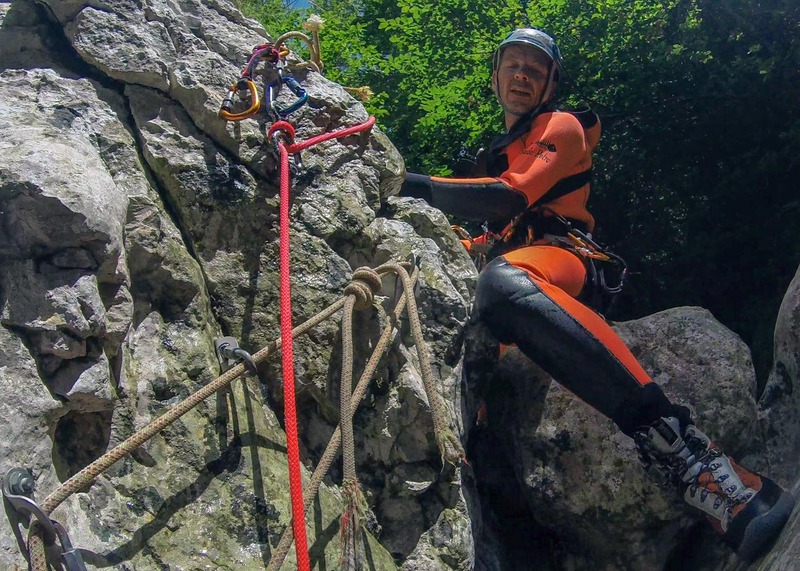 So haben wir uns bei unserem Canyoning Abenteuer nicht nur absolut sicher gefühlt, sondern hatten auch eine Menge Spaß. Absolutely the best time of my life! Absolutely the best time of my life! I’ll remember this experience forever! A 5/5!! Super safe, super fun! A1+ recommendation! 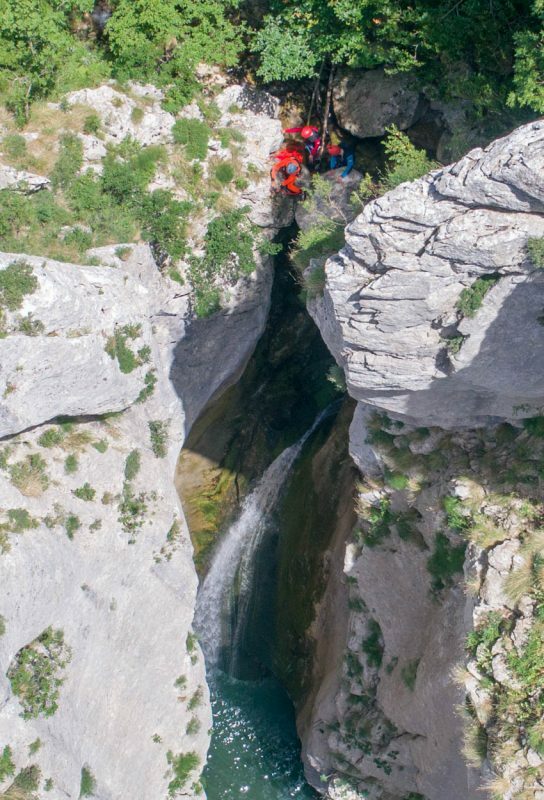 Medjurecki Canyoning launches at 9 or 10:00 AM Excursions generally last for 5 to 6 hours.